Dimensions: total height 87cm, seat height 47cm, depth 54cm, width 57cm, weight 3,6kg. Available colors: linen, anthracite grey. 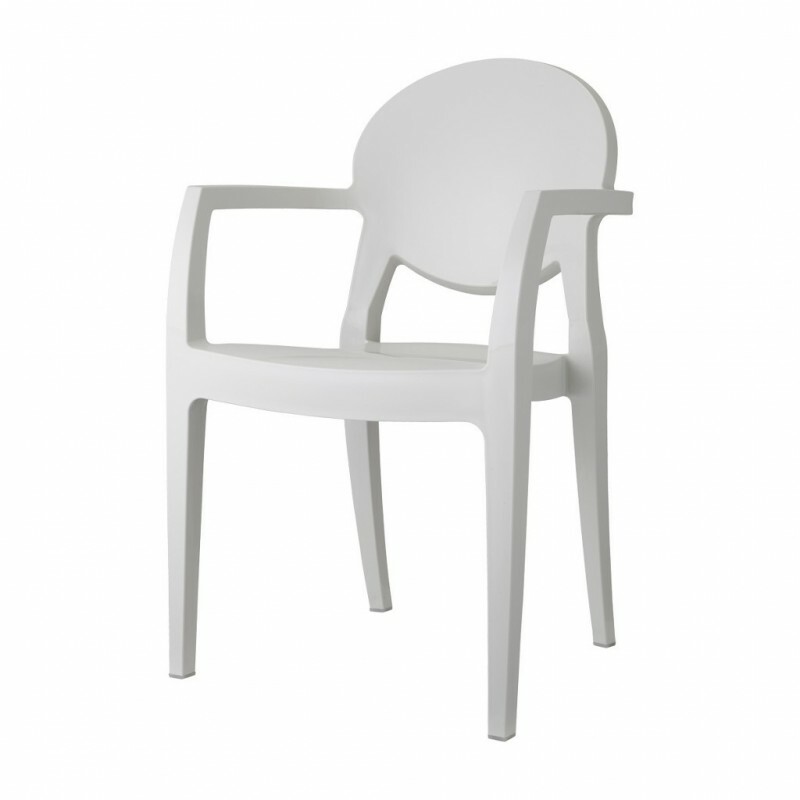 Igloo Technopolymer, is an elegant chair with armrests that can be used both in interior and exterior furniture. Characterized by a fresh and contemporary design and by soft and refined shapes, the Igloo Technopolymer chair, is the right solution to enhance any environment, from the kitchen to the living room, in private contest as well as contract projects. Extremely comfortable, Igloo Technopolymer chair transforms rooms with a touch of class. Made with shell in glossy technopolymer, stackable. Also available the Igloo model in polycarbonate with and without arms, see below in related products.